Dog walking work is a great job for anyone who loves animals: you get paid to do something that is relaxing, great fun and you meet some wonderful canine friends. You will get fit and can get paid to go for some great walks in the beach, park, woodlands and around the streets. Dog walker rates of pay and the charges you can make varies from area to area though a standard seems to be £6 - £10 upwards for a 30 minute to an hour walk. It is possible to collect several in one session and safely walk them together or do several a day for owners. Most people will not mind this as it socialises them and they will love them to make friends - just be sure to keep the males away from any females! If you have a friend or spouse who loves to exercise then you could get together on these walks. Many people like to have them exercised whilst they are at their job and they would rather pay someone to do this so that they can have a long walk rather than a short one when they return late and tired. The person may no longer be able to do it themselves perhaps from injury or illness. Many older people who cannot walk long distances will keep one for companionship and employ someone to exercise them each day or several times a week. Someone may be temporarily unable to walk long distances perhaps because of a broken bone. Some owners may ask you to look after their animal in your house because they do not like the thought of putting their beloved companion into a kennel. This is known as dog sitting or daycare. Though kennels may charge about £4 a night, you can charge up to £20 because this may be the only animal you are caring for and it will get your undivided attention and its usual comforts. Other owners may ask you to stay in their house so that it keeps its routine and the building is looked after. You can also charge £20 upwards a day or night for this service. You should negotiate areas that you are not permitted to access, if you will have food provided and any other tasks you are expected to undertake such as cleaning. There is more information about this on the house sitting page. Most owners will want to know about your pets and what experience you have. Any qualifications related to care, grooming etc will help you. Owners are trusting you with their loved companion so will watch how you interact with your own animal and theirs. The main skill and qualification to become a dog walker is a love of animals and the ability to provide a safe, fun, caring and stimulating environment. You should look into insurance such as public liability insurance incase it bites someone or slips off the leash, runs onto the road and causes an accident as examples. Owners may already have such insurance or you can ask them to take out such insurance cover. 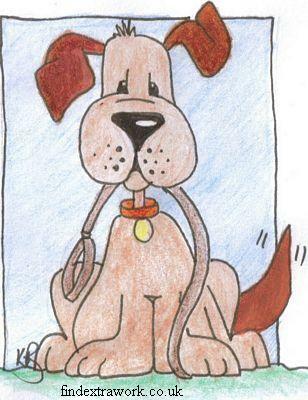 You may like to carry spare leashes or collars in case any deteriorate or fray. Do carry a pooper scooper and poo bags and please do pick up any faeces that those under your care may produce. Most areas have on the spot fines for those who do not pick up after their animals and you are responsible for their actions whilst in your care. A professional pet groomer course will teach you how to groom animals, their anatomy, the different grooming personalities and their health care with a business information. An ideal course for those who wish to run the extra service of grooming. When starting a dog walking business word of mouth is your best form of advertising. Treat your customers and their pets well and they will soon recommend you to friends and relatives. In the meantime you may have to advertise locally in the newspaper, on notice boards of vets or groomers and in pet shops. Any advertising costs can be claimed as a tax expense. When you get a new customer you may want to protect yourself from any liabilities with an agreement between you and the owner. Emergency treatment whilst under your care and who is responsible for such costs. This could include details of the vet you would take it to in the event of an accident or injury. Emergency contact numbers for the owner including work phone number and a mobile telephone number. Have the owner agree that it has had an annual vaccination and is wormed every three months to prevent any possible spread of disease or worms to the others you may walk. Outline who is responsible for any damage or injury caused by the animal. Describe your insurance level or ask the owner to sign that they are responsible for insuring their pet or are responsible for any claims and indemnity. A disclaimer that should be drawn up with your legal representative but may include the reporting to you of any concerns within 24 hours. Describe who is responsible for any damage caused to property. The owner and the walker should each sign the consent form and service agreement. One copy should be given to the owner and you should retain the other. The above and other information on this page does not constitute any legal advice and you are strongly encouraged to seek qualified legal advice. Lots of fresh air and exercise will keep you fit and active. You get to make lots of canine and human friends. The pay can be good. 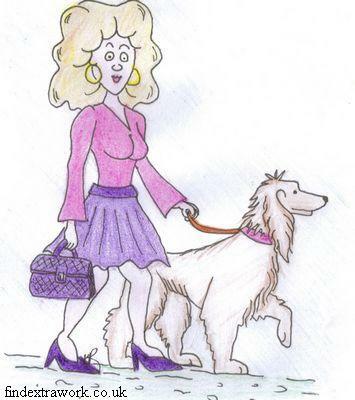 You will be helping busy, full timers, disabled or ill people who may not normally be able to walk their pet. It may lead to other jobs. For example the TV presenter Victoria Stilwell started her career as a walker in between being an extra actress. She then met Ken Cochrane and qualified as a trainer and opened several successful schools in America including New Jersey, New York and Atlanta. She returned to the UK and became the presenter of the Channel 4 television programme and wrote several books about training and diets. However it is rewarding and can be suitable for active people seeking it part or full time if they are prepared to build up a client list. Income earned should be declared on your self assessment income tax return. If you work full time or make a large enough profit you may be able to claim expenses such as a van and mileage. If you do it in the evenings, weekends or in between your full time job you will still have to pay income tax and National Insurance (NI) contributions. Your local tax office can give you expert advice and help. A growing trend that originated in America but is growing in the UK is for dog nurseries that look after them for an hour, half a day or all day. Another can be found in Kilmarnock, Scotland. It is called Fido Sassoon and is run by groomer Lainy Wilson and her staff. She has kitted the facility out with friendly facilities such as play areas full of toys and soft anti-fatigue tiles on the floors much like there are at gyms so that they cushion the paws. She even provides armchairs! Owners love the service and find it a great way for them to socialise rather than being kept on their own where they could suffer from separation anxiety. Conditions of being allowed to leave them include males having to be castrated and aggressive ones not being permitted to stay. Our other pages of interest - Free Dog Food Samples. 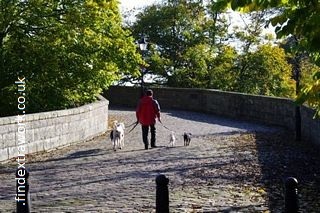 Listed below are some dog walking jobs. These are not connected to us and are listed here for free to aid our readers. Not all activity needs to be for self profit. Many charities need them. You still get the exercise, canine company and fresh air whilst helping charities such as the PDSA or RSPCA. For example the Dog's Trust re-homing centres have vacancies for walkers and socialisers. Walk The Dog are looking for a walker. The job would suit someone looking for an extra source of income or have spare time such as a retired person or housewife. Applicants will need to be aged over 18 years and have a clean driving licence with their own transportation. The applicant should love animals and the outdoors, have experience of pet care or working with animals and live in the Berkhamsted (Hertfordshire) or surrounding areas. The hours are between 11am to 2pm. Very Important Pets have a vacancy for an assistant with the combined role of driver and carer. This is a part time vacancy. You will need to hold a valid UK driving license and for insurance purposes you will need to be aged over 25 years. It is in the Borough of Hillingdon and will involve the successful employee being with one of the experienced handlers and some of the roles will be to collect them in the morning and taking the pack to the VIP private farm land for their walk. Applicants will need to be Criminal Records Bureau (CRB) checked for child protection purposes and ideally have previous experience and knowledge. Applicants should demonstrate a willingness to be out in all types of weather, sunshine and rainy days, and an ability to cope in rush hour traffic. The successful candidate may have to care for them in their own house and should show this willingness during their interview. They pride themselves in providing a variety of care which includes day care, boarding with staff members, training and advice on individual diets for their clients throughout North West London and Middlesex. Staff can benefit from teaching which ranges from basic puppy care and training and specialist discipline training such as security, close protection, patrolling, guarding and drug detection. For more information or to apply please visit their website at www.very-important-pets.com and click on Careers on the left hand side for the current e-mail address to send your application form, covering letter and CV. An alternative, or a job that could be performed in conjunction, is Pet Sitting. This could include any from hamsters, guinea pigs, birds such as budgies, parrots or cockatiels and even more exotic ones such as snakes or a tortoise. An example includes the barking mad petsitters company. These can be found at www.barkingmad.uk.com. They will pay you to look after their clients animals in your own house. So you get the joy of its company and earn money at the same time. You will need to ensure it is cared for just like they are used to, ensuring their routines are kept, diets and special foods given and normal walks undertaken. 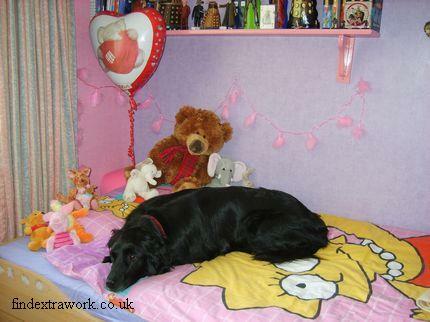 Owners who use the services of Barkingmad.uk.com want them to be cared for in a caring environment where they can have their own bed and toys and regimes rather than a kennel perhaps while they are away on business, on holiday, in hospital, while they settle in a new baby, decorating or renovating, etc. You will need to have a secure garden to become a pet sitter which Barkingmad call being a host family. Typical host families are retired couples who want canine company at dates that suit them, people who work from home or do not do it full time. Barkingmad will interview you for the position of host family for their pet sitting service. Branches of Barkingmad are throughout the UK including Ayr, Colchester, Doncaster, Dundee, Edinburgh, Exeter, Lancaster, Leeds, Manchester, Norwich, Oxford, Reading, Stoke and Torquay. Barking Mad have a franchise opportunity for those who want to run their own pet sitting business in their local area. Visit Barkingmad.uk.com for more information. Pet People have dog walking vacancies in the Maidenhead, Twyford, Wargrave areas on a part time basis. You will need to own an appropriate car or van, have previous experience such as having been a rescue centre employee, boarding kennels, being a veterinary nurse or assistant. They seek people with experience of training using positive methods and are physically fit who are willing to walk in all weathers. Please note that they will perform a Police record check and references will be taken. Rates of pay depend on the number of walked. They also have vacancies for part time assistant dog walkers in the Maidenhead, Twyford and Wargrave area of England. Requirements as above and the rate of pay is £6 per hour.